As one of the top photographers in the Rogue Valley of Southern Oregon, Pam’s experience has gained popularity to where she has photographed literally thousands of people since 1997.
gives Pam the edge in creating a fun look that exudes energy. Her relaxed and professional approach assures confidence to every client. 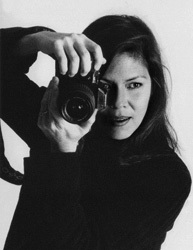 Pam offers a custom style of photography may be just what you’re looking for. you will feel like a star from beginning to end. Pam has also progressed to shooting celebs, athletes and politicians.